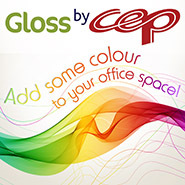 If you feel like a change for Summer, why not check our our 'Gloss' by CEP Range.. White, Lime, Purple, Blue & Pink Desktop Accessories! I recommend the CEP Desk Tidy at £11.97.. Plenty of space for pens & more! Great Back To College Idea...Highlighters that ERASE! Brace yourself for a truly illuminating experience with FRIXION LIGHT, the erasable highlighter from Pilot! This unique and ingenious product allows you to highlight your work, and then erase your highlights once you are done with them. Tired of working in pencil in course textbooks? Use FRIXION LIGHT and simply rub out your highlights before you give the book back! With Pink, Green and Yellow to choose from, and with funky tribal barrel designs to help you stand out from the masses, FRIXION LIGHT is set to take the world by storm! A Spot Of Early Christmas Shopping? We know the sun is still shining (for now at least) but for those of you who like to be super-organised, you can purchase our Minions & Peppa Pig Christmas themed items. We have limited stock of these & once they are gone we will not be getting any more!